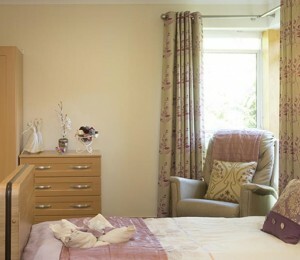 Albany Nursing Home offers different levels of care to suit a range of needs, including: nursing, residential and respite care. The home has a team of registered nurses and professional and dedicated care assistants who provide round-the-clock care.Albany has its own varied activities programme, which everyone can get involved in, while relatives and residents are invited to help with the planning of activities to ensure that there are a broad range of activities on offer.An experienced and dedicated chef prepares freshly cooked meals and can cater to special dietary requirements and special requests from residents.The home is a purpose built nursing home located on London Road in Headington within a short distance of local shops and amenities. Residents living at Albany can enjoy the mature gardens and patio area surrounding the home, while staff welcome visitor to the home and are keen to listen to any concerns. All of our 38 en-suite rooms are furnished to the highest specifications with your comfort in mind. Your bedroom furniture consists of: an appropriate bed suitable to your needs, wardrobe, three-drawer chest, bedside table with lockable drawer, over-bed table, armchair and other furniture appropriate to the size of the room. All our rooms are furnished to the highest specifications with your comfort in mind, and each room has an individual décor. Your bedroom furniture consists of: an appropriate bed suitable to your needs, wardrobe, three drawer chest, bedside table with lockable drawer, over-bed table, armchair and other furniture suitable to the size of the room. We understand that moving into Sutton Valence will be a considerable transition, but one we try to make feel as easy as possible. Your room is your own personal space, which is why we encourage you to personalise it if you like, by hanging your favourite pictures or bringing small pieces of furniture.